We've watched DVDs, we've read stories, we've read social stories, we have a chart up in the bathroom, he can take his pants and pull up off and put them on ... everything is ready for potty success, except ... Liam. Like other children with special needs, Liam is having issues with potty training and one of the biggest issues he seems to need to overcome is the potty itself. He knows all of the steps to going potty, he knows the potty song, but he just can't make himself go on the potty or even standing beside it. As part of Autism Awareness month we were sent a Little Looster to try out. 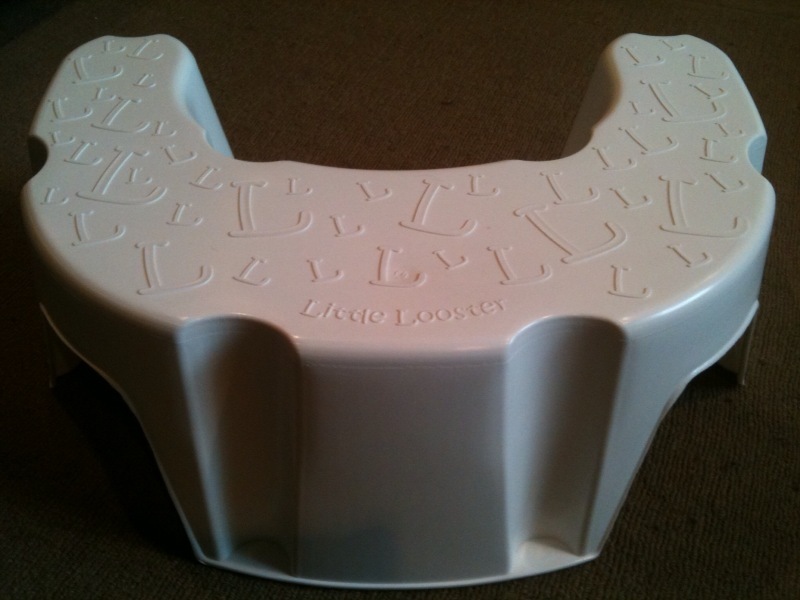 New to market, this stool for the loo means that children with special needs can start potty training successfully, right on the big potty without confidence and ease! 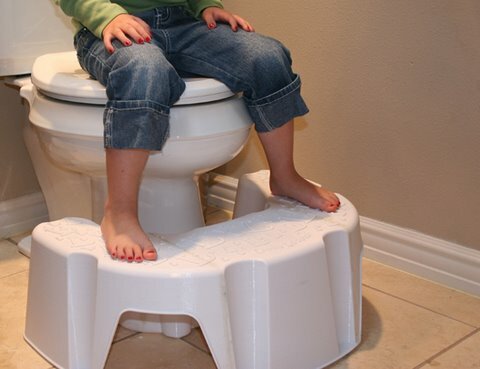 The Little Looster allows these children, who may have balance issues, to stabilize themselves on the potty without help. Why train with the Little Looster? Comfort – No more pins-n-needles feeling when little legs lack all around support. Kid comfort from the first days of potty-training until those little toes touch the floor. Confidence – With all around support, there is no more scary feeling of “falling-in." Confidence creates happy kiddos that are willing and able to use the big-potty. Cleanliness & Convenience – No more need to grip the back of the toilet seat or the inner, germ-covered rim. Grown-ups have the added convenience of leaving the Little Looster in place when they use the toilet. Liam shares his bathroom with others, so it was important for us to be able to use the toilet too - it really is easy to step over and still be comfortable when you sit down, and it is light weight enough to move easily when you are cleaning or when preparing the bathroom for guests. I know that while we haven't hit the magic moment yet, the Little Looster is a big step towards helping Liam feel more comfortable using the potty.